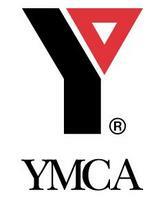 YMCA is also known as Young Men's Christian Association. The association was started by a draper, George Williams, who had a mission to improve spiritual conditions of young people carrying out embroidery, drapery and similar trades. Presently, the association lays much stress to inspire youth community, along with their families, in engaging in a healthy routine and perform exercising regularly to gain healthy mind, soul and body. They have also into international coalition with a number of Universities across the world including Mexico, India, England, Brazil, Uruguay, Venezuela, Hong Kong, Brazil etc. the association plays a vital role through these universities to offer a wide range of courses for students at different levels.